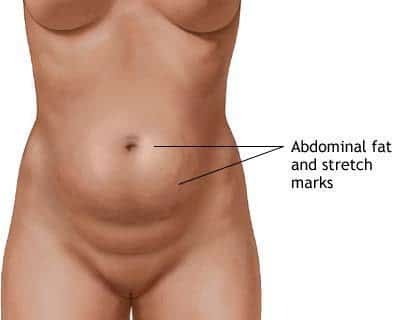 Loose skin, weak abdominal muscles, and fatty tissue in the belly area. Desire for a more fit abdominal appearance and looking better in clothing. Outpatient procedure performed under general anesthesia in our AAAHC accredited surgery center. 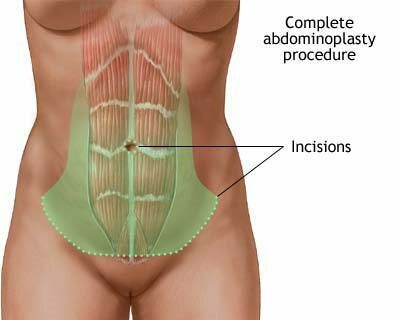 A lower bikini incision is made, and then lax muscles are tightened and excess skin is removed. A tummy tuck is often performed in combination with liposuction, which removes excess fatty tissue. 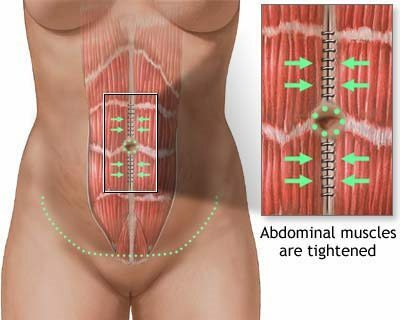 Can be performed as a mini-tuck, treating the tissues from the lower abdomen to the belly button, or a full tummy tuck, treating the tissues above and below the navel. 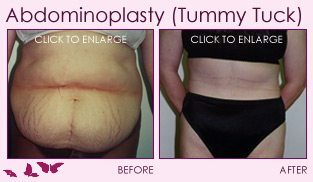 Takes an hour and a half to three hours, depending upon the type of tummy tuck performed and patient characteristics. Trimmer, tighter look to the stomach area. Smaller waist size and greater flexibility shopping for clothes.